Many of you will be on the road for the upcoming Memorial Day weekend. AAA estimates that more than one-third of Americans (35 percent) will travel away from home this year, and 69 percent will take a road trip due to the lower gas prices. This got us thinking about how many people have never visited the reservations and the beautiful opportunities awaiting those who do. 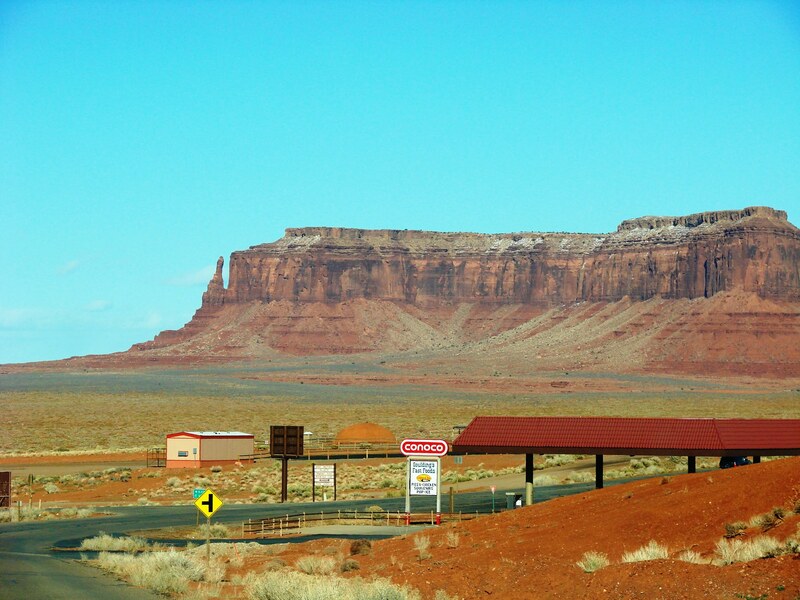 One of our semi drivers, Jim, recently wrote about being on the road to a remote reservation community in New Mexico. He was on his way to Picuris Pueblo, the word Picuris referring to “those who paint.” About 24 miles southeast of Taos, in the Sangre de Cristo Mountains, and influenced by the Spanish, Picuris has 324 enrolled tribal members, but 1,886 residents living in the community. Jim could hardly articulate his sense of wonder at coming over the mountains and descending into the small town before him, with snow-capped pine trees and a stillness that comes only from the absence of bright lights and heavy traffic. After a fork in the road, and deeper into the valley, was a field of buffalo pushing their way through the snow to eat the vegetation below. 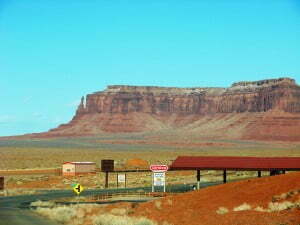 This is just one of the many wonders you can see on the reservations. While some reservations have similar aspects, all visitors should remember that each reservation is home to a specific tribe with a specific culture and history. This means that what may be acceptable in one community or at one event may not be appropriate at another. Do some research before your trip. Learning about the history, culture and traditions of the people who live on the reservation you plan to visit will enhance your experience and help you avoid cultural missteps. Treat all residents with courtesy and respect. Listen attentively, and be a respectful observer. If a resident offers you food or a meal, be polite and accept it. Be aware that alcohol is not permitted on many reservations. Be aware of signs about photography, and leave all pieces of pottery and other artifacts where you found them. These are protected by the Native American Graves Protection and Repatriation Act. Pay especially close attention to road signs. On tribal lands, you are subject to tribal law enforcement. If you are fortunate enough to attend a powwow, feast day or other event, dress in a modest, kempt and appropriate fashion. Avoid attire related to stereotypes, such as fringe or feathers. Many tribes offer information for visitors on their websites, including events open to the public and rules of etiquette or protocol. Wherever the Memorial Day holiday takes you, let common courtesy be your guide, and if you visit the reservation, post a comment here to share your experience. This entry was posted in Humanitarian and tagged AAA, gas prices, Memorial Day, Native American, reservation, travel, tribes. Bookmark the permalink. Trackbacks are closed, but you can post a comment.